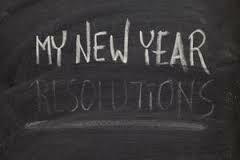 Wanting to make a New Year resolution shows that, at the back of your mind, is a desire to better yourself. The fact that people keep making resolutions even when they don’t always follow through ultimately means that you have hope and a certain level of belief in your ability to change. Setting a resolution also increases your chances of success. Research shows that if you make a resolution, you have a 46% chance of success. This compares to four percent who wanted to achieve a certain goal and considered it, but didn’t actually create a resolution. Panicattacktherapist will be encouraging panic attack sufferers to make 2015 the year they take action to rid themselves of their attacks. Their online programme includes full support from the creator of the programme, Vincent Benedict, by phone, skype, facebook chat. Also included will be regular webinars which involve relaxation exercises and meditation. 2014 has been a great year for Panicattacktherapist with many clients finally getting rid of their issues and leading normal lives. Anyone considering starting this programme during the first week of January 2015, can currently use it for 7 days free of charge, to see if this programme is really as good as everyone says it is. Vincent Benedict is also available to discuss your issues and how he can help you. Just ring 077 8215 8008 or skype vincent.benedict449. Are you ready to start on 1 Jan 2015? Read about our programme by clicking here. I’m a Celebrity favourite Rebecca Adlington has revealed she has an anxiety disorder which causes her to experience panic attacks. The Olympic gold swimmer, 24, said the condition related specifically to confined underground spaces, explaining her inability to take part in several Bushtucker Trials. Kent therapist Vincent Benedict, whose programme to eliminate panic attacks and anxiety is gaining amazing reviews from clients, states that anxiety disorder is more common than people think. About 18% of the population will be affected at one time or the other, but only about a third of these seek any form of help. The good news is that anxiety/panic attacks are highly treatable. The first thing to do when you feel that you have had an attack, even if you don’t know what it is, is to contact your doctor. If tests show that there is nothing physically wrong with you, then there is a chance that you have an anxiety disorder. Ask your doctor for advice about the different therapies available to you. Therapy does not need to be expensive, so shop around. For an online programme, with support, you should not have to pay more than £50 per month. It is very important to take action as soon as possible, before the problem deteriorates. 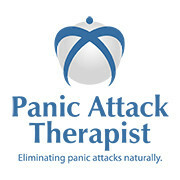 At www.panicattacktherapist.com, we are currently treating clients from all round the world, with personal support available via phone, facebook or skype. Our facebook page “eliminate panic attacks and anxiety” has only been going one year and already has 11000 fans on it, showing how big this problem is. With Xmas approaching, and the increased stresses of modern life, these numbers are expected to increase by a big margin. I’m A Celebrity’s Rebecca Adlington Explains … – Yahoo UK OMG! 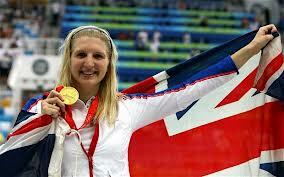 Rebecca AdlingtonLondon, Dec 7 – Rebecca Adlington has revealed that she has an anxiety disorder, which has caused her to suffer panic attacks . 6 hours ago – London, Dec 7 (ANI): Rebecca Adlington has revealed that she has an anxiety disorder, which has caused her to suffer panic attacks.